Most of you already know that the Miura is my personal favorite car ever. I just love this photo. 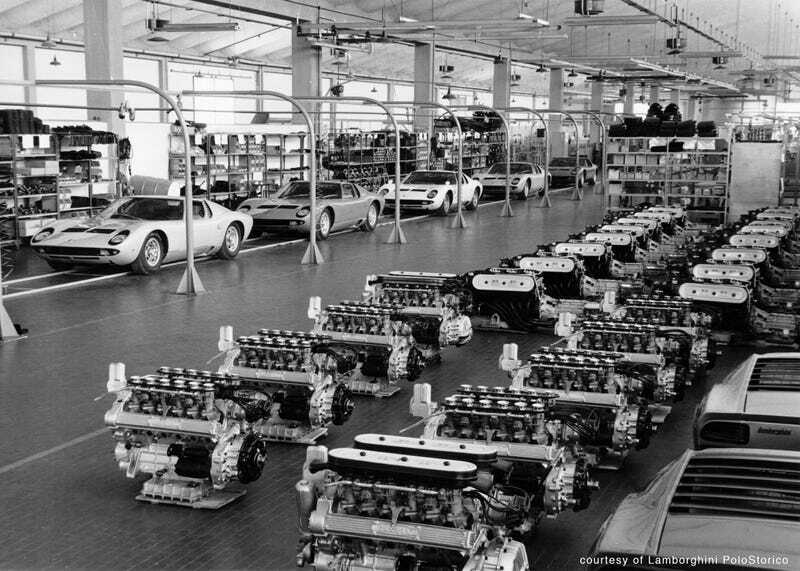 Miura engines are placed closest to camera and interestingly some have air filters and some have intake trumpets, maybe a customer could specify whichever they liked? Engines with the side-mounted air filters are Espada units.